Successful business organizations constitute a solid management team that includes some talented Project Managers who effortlessly plan, schedule and manage the available resources to the best of their abilities. Even on a hectic day, results are overwhelming. Why? What are those ways that they incorporate to enhance their team’s performance to this level? The three words answer to these questions is – project management tool. Yes, today organizations are using some of the best project management software solutions to run and manage a large number of professionals. If we go by facts and figures, currently around 80% companies are using online project management tools. Talygen, a leading online business management software offers plethora of features making it one of the powerful project management system at the moment. In this post, we will examine some raw features of Talygen’s project management software. These features will be enabled when you add/edit a project from project listing screen. This is the first step to add/edit a new project. When you click on ‘’add/edit’’ button, general settings screen appears that include numerous project related fields which you have to fill. Some of these mandatory fields include - Project Name, Project Mode, Project Hours, Project Rate, Project Amount, Project Billability, Project start/end date and many more. Users can select off days in a week as per deadlines and project scheduling. They can set the priority of project as high, low or medium as per the requirements. The best part of this feature of project progress tracking tool is Virtual User functionality. By checking a given box, user can add virtual users to the existing project. A Virtual User in Talygen is a person who will be visible (if enabled) to the client. Other users (to whom virtual user has been assigned for the project) can also operate this profile. This feature is enabled when users add/edit a new or existing project. Custom field refers to a particular feature in which a user can customize the fields as per their requirements. These fields are basically related to personal contact information of the user such as mobile number, email address, alternate e-mail etc. Users can set up custom fields from Custom Field module. Talygen’s project management module is an all-in-one comprehensive system to manage multiple projects. As a Project Manager, you have to manage your projects but before this, you need to manage the tasks assigned to your team members. Our next feature is also a Task manager. In this Task tab, a user can add multiple tasks with all the necessary details like Task Name, Task Rate, Hours, Start and End Date, Team and Description. You can also add more tasks by clicking ‘’Add More’’ button. 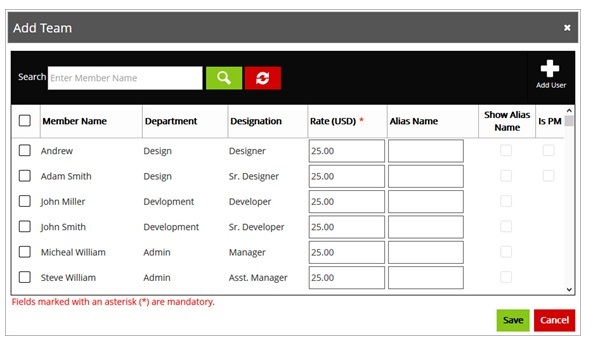 This feature helps managers to assign any tasks to team members related to projects. Team members can also manage their tasks according to their priorities. A team plays an integral role in completing and delivering any project. A team with efficient team members always achieve or sometimes surpass the expected results. Although, the most important thing is how a manager manages his team with a number of complexities. Talygen’s web based project management tool provides a ‘’Team Tab’’ feature through which Project Managers can add and manage the team working on a project. They can add new members in their team for the project by clicking ‘’Add Team’’ button. A new screen will appear which shows the list of existing team members. You can add new members here. You can also appoint Project Manager out of the users to lead the project. A business organization which extends healthy relationship with their clients would achieve remarkable success in the longer run. Every successful organization believes in transparency with clients because this helps in building a rapport and trust of the company with its clients. 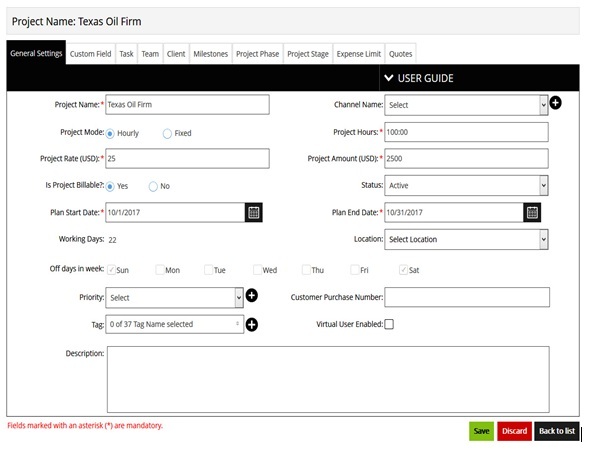 Talygen’s project management solution provides a ‘’Client Tab’’ feature that allows users to associate clients with ongoing project. When you click on ‘’Associate’’ button, a client screen will appear that shows the list of clients. You can select one or more clients as per your requirements and associate them with the project. These are some of the defining features of Talygen’s project management software which help business organizations to increase the overall efficiency of employees so that it will be converted into positive results in the form of enhanced revenues at the end of the financial year. Due to word limitations, we cannot be able to share all the features in this blog. We will be back with the rest of the features in our coming blogs. Keep checking this space for more updates. Whenever any organization expands, its employees want a desirable space to connect with each other to disseminate necessary information and perform with the best of their abilities. An organization can only achieve their goals if team members can get access to all the information and knowledge on time. A Knowledge Base System is the center of knowledge for any organization. A Knowledge Base Solution is a highly useful tool for an organization. This is a single bunch of information pool which is always accessible, updated and makes way for employees to discover new insights. It enables employees to create and disseminate information (articles) within the organization. Talygen, a leading business development automation service provider offers a very easy to use Knowledge Base System which provides a plethora of useful features to help organizations in achieving organizational goals in much more easier manner. It not only provides comprehensive and important information about an organization but also creates resources, as in articles, for the proper distribution of information. Categorization of articles is the stepping stone for any Knowledge Base Solution. It helps in organizing articles into different categories for effective distribution of articles among employees. Talygen’s Knowledge Base System enables users to define articles into a number of categories. This categorization of articles promotes effective data dissemination. When you add an article to a particular category, it becomes easier for team members to know which article meet their requirements. As business increases, the need for plenty of information and documentation also increases with time. Scaling capabilities of the companies is also piled up with time. Talygen’s Knowledge Base System provides assistance for easily transferring the article writing responsibilities from one team member to other. This is a very comprehensive feature of Talygen which is really useful when any team member is not available to perform their given task. It also allows users to save and retain an article as a draft. This helps them to make any final changes in the article if required before publishing it for everyone. It increases the efficiency by allowing users to switch in and out between the tasks and get back to the same article to finish it off in time. Collaboration these days has become an integral part of business organizations to perform their day to day tasks. It is not only useful for internal management of an organization but also beneficial for collaborating with clients. Talygen’s Knowledge Base Solution is customized in a way that clients can have access to the articles as per their requirements. While creating an article, Managers can give article access to clients (through enable or disable functionality), so that they know about the progress of the project. This feature makes a segmentation in which there are two types of articles, one is the company only articles and others are clients based articles. Talygen’s Knowledge Base System always ensures high-end security and privacy of articles shared by Managers to their team members. There are number of security checks provided in Knowledge Base Module that allow users to maintain privacy. Project Managers can view, track and manage all the shared articles among team members. Knowledge Base Module allows Managers to put restriction on readers from copying any content of the articles. This ensures full-proof security of articles and also nullifies the possibilities of inappropriate data intruding activities. Database is a real key to success for any organization. It is the ladder to which every organization climbs through and attains desired goals. Talygen’s Knowledge Base System allows organizations to create their own personalized knowledge base repository. Important articles and data related to the company could be stored and become a reservoir. This feature helps in improving and streamlining the entire operations of the organization. 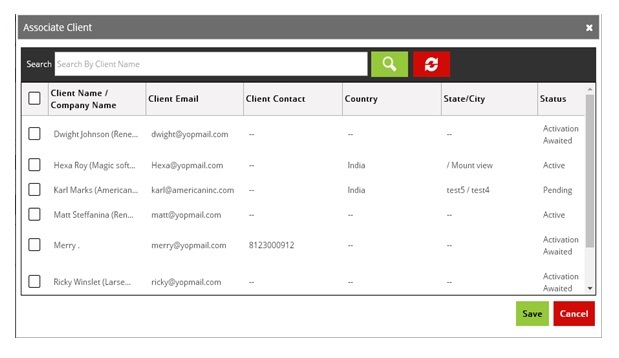 Team members can easily retrieve any information and data of their use at any time. An excellent Knowledge Base System is one of the most important requirements for an organization’s support checklist. Keeping this into mind, Talygen’s intuitive Knowledge Base Module is one of the best comprehensive solutions to share important documents/articles among team members and clients. Try out this intuitive software now and experience a faster execution of your knowledge base management. Employee time management skills have a direct impact on business outcomes. Good leaders should put more emphasis on helping employees improve their time management skills. Leadership plays an integral role in managing employees of an organization. A leader with accurate leadership skills not only motivates employees for achieving organizational goals but also helps them to enhance their skills. If we talk about leadership skills, some people learn them early in life but for someone, it comes with external encouragement, effective training sessions by management and by using some best organizational tools. like online timetracking software. Here in this post, we will discuss how can employees enhance their time management with the help of effective leadership. Leaders are the real motivators for employees of an organization. They can inspire or demotivate their team members. When leaders showcase their supreme leadership qualities with lots of grit and passion, it simultaneously reflects on their team members work performance. Leaders always know how to get out 100% from employees. They know their each strength and weakness on the basis of which they assign tasks. To train your emploees the best way, as a leader, you can organize some activities such as team lunch, movies etc. In this leisure time, you can observe your team members and set up team building activities. Motivating your employees can help them in effective time management and it results in enhancing employees’ productivity as well. Today technology is rapidly transforming around the world. Therefore, if you want to match your business processes with technology, you have to incorporate new methodologies. Managers or leaders are the ones who can enhance productivity by investing in organizational tools such as project time tracking tools. These online time tracking tools not only are easier to implement but also takes out the best of employees abilities. But before finalizing these tools, managers need first require to find out the necessity of technological tools in their workplace. First of all, list out your priorities before choosing any tech-application. This includes your budget and compatibility with users. Through effective communication process, leaders can create a healthy environment where employees perform their best. There are a number of effective communication platforms such as Talygen’s Message Board and Slack that helps employees to manage their time. These online tools motivate employees to work together as a team for a common goal. Talygen’s employee time tracking tool is another useful tool for employees to track and record time spent on projects by employees. Trello and Timesheets are another time tracking and payroll management tool. By incorporating these innovative tech-solutions, leaders can push their employees to achieve business success. Working environment always plays an integral role to maintain work life balance and improve time management of employees. It also boosts employees’ moral. This could be applicable by implementing some changes in the policies. For example, companies can allow employees to take short breaks in every 3 hours. This will refresh them in between hectic working hours and help them to perform better. Apart from this, there are numerous other policies like unlimited vacation policy in which employees can take leaves as per their choice. This policy is highly result oriented as employees who feel rested, can perform with better work efficiency. These working polices may not be applicable to other organizations. Time Management of employees is one of the broad- faceted concerns that increases the complexity level in some business organizations and industries. The ultimate performance is delivered by employees. However, management can help employees to achieve the final result by incorporating certain goal oriented policies and provide a work friendly environment.